Malware threats are affecting users around the world by causing serious data threat and duping millions of dollars to them. Here, you can keep your device protected with some basic steps that include using reliable anti-malware programs for your device. In this article, we have reviewed one of such effective tool called “Systweak Anti-Malware” that works on smart algorithms to offer you a comprehensive security against all virus threats on smartphone and/or mobile devices. Intuitive Scan Results: Systweak Anti-Malware is simple yet powerful software that works on smart techniques to offer results in an intuitive manner. Here, results are compiled in a user-friendly manner for quick understanding. The app turns device background color red when it finds something malicious on your device with message “Malware Detected”. Else it keeps background green when it doesn’t find anything malicious. Here, it displays message “Your device is protected”. Further, you need to click on “View Scan Result” button to view scan results. Here, you will find all malicious apps with malware type next to them. To clean all these malicious apps simply click on “Clean Malware” button to quarantine your device. Security Options: Security options allows you to manage all your non-secure settings on device. Here, you can manage or disable developer options, installing from unknown sources, Android Beam and near field communication (NFC). You can disable all such tricky settings on your device if not needed. Privacy Options: Privacy options allows you to manage privacy settings on your device. Here, it keeps a tab on all permissions obtained by different apps on your device. Further, you can manage or disable all such apps that are obtaining unnecessary permissions. It is useful to keep your data privacy intact. Scan Options: Here, you can find Quick or Deep scan mode to refine your search process. 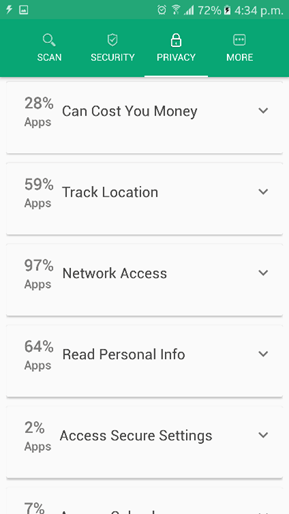 The app will scan, find and remove malicious content from all installed apps under Quick scan mode. 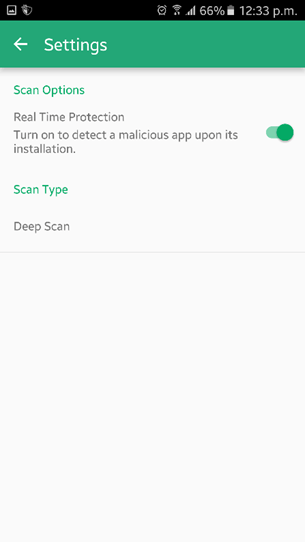 Under Deep scan mode, app will scan all APK files on your device. Here it will scan even those APK files that are not installed on your device. You can use this feature to get instant and effective results. Real-time Protection: You can use this app’s feature to keep your device protected from all malicious content in real-time. Here, the app will block downloading malicious apps on your device in real-time when you try to download it. Use this feature to stay protected from all malware threats in real-time. Whitelist: Use this feature to Whitelist your secured apps from scanning process. Here, once you add any app to Whitelist it will not be included in scanning process. Use this feature to keep your personal apps untouched. Scan History: App helps you to view scan history on your device to manage further scan process well. 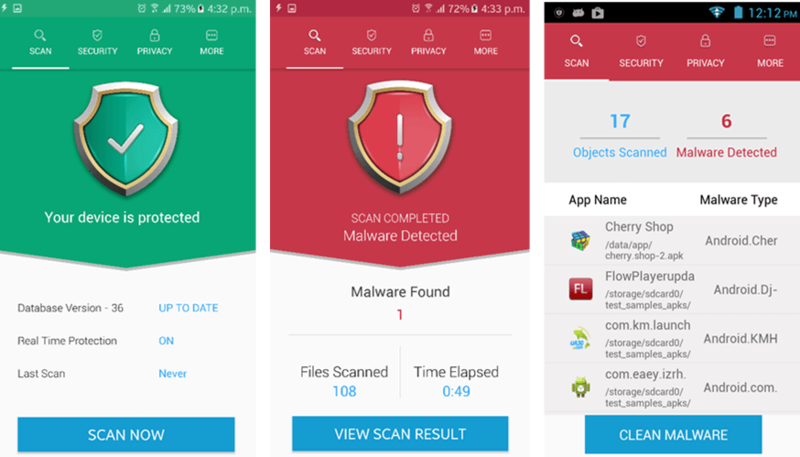 Systweak Anti-Malware is a futuristic solution to help you fix all malware issues on your Android device in an effective manner. Here, it offers most advanced features and multiple scan options to help you refine your search process & fight android viruses effectively. Further, it offers real-time protection from malicious apps and keeps your data privacy intact. 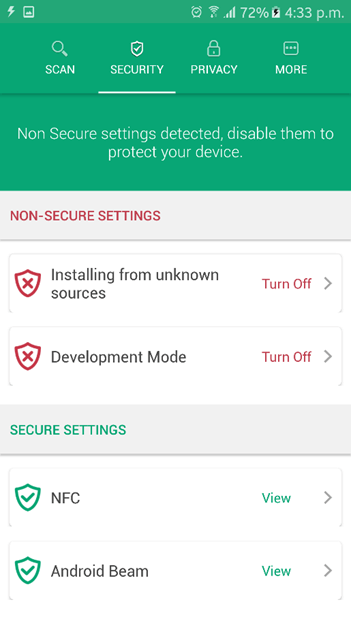 We suggest you try this app to keep your device protected and well performing.